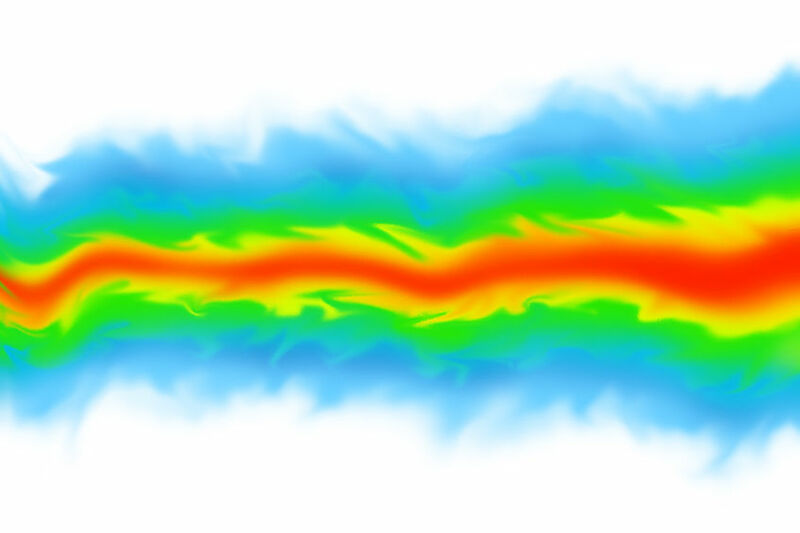 Computational fluid dynamics (CFD) is the use of applied mathematics, physics and computational software to visualise how a gas or liquid flows, as well as how the gas or liquid affects objects as it flows past. Computational fluid dynamics is based on the Navier-Stokes equations. These equations describe how the velocity, pressure, temperature, and density of a moving fluid are related. In other words, it makes use of numerical methods, mathematical modeling and software tools to solve and analyze problems that involve fluid flows and uses the latest in computer hardware and elegant programming techniques to model and simulate liquid and gas interactions with surfaces, as defined by boundary conditions. This gives insight into flow patterns that would be difficult, expensive or impossible to study using traditional techniques. Mechanical movement (eg of pistons, fans, rudders), stresses in and displacement of immersed or surrounding solids. Because of the depth of CFD there is high probability of getting lost in the learning joinery and in many cases getting demotivated from learning CFD itself. We recommend booking onto a CFD course to further your knowledge and understanding. Are you interested in a computational fluid dynamics course? Find out more about our CFD training at London TFE.